For a little understated elegance, choose this exquisite timepiece from Rotary. Featuring a sleek two tone bracelet, warm champagne dial, with classic Roman Numeral hour markings. The iconic Rotary logo sits at 12. 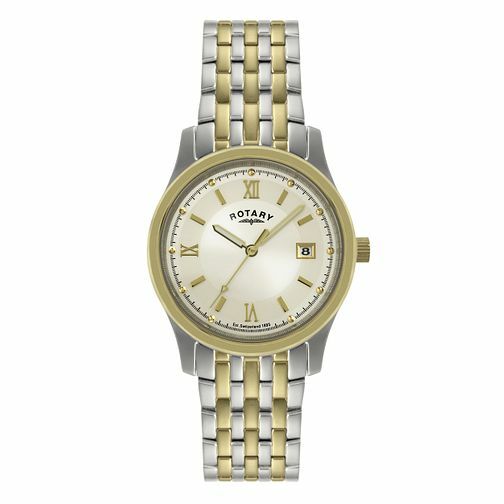 Rotary Men's Two Tone Bracelet Watch is rated 5.0 out of 5 by 1. Rated 5 out of 5 by Anonymous from Great Product is great, it has a nice finish and is loved by my father.